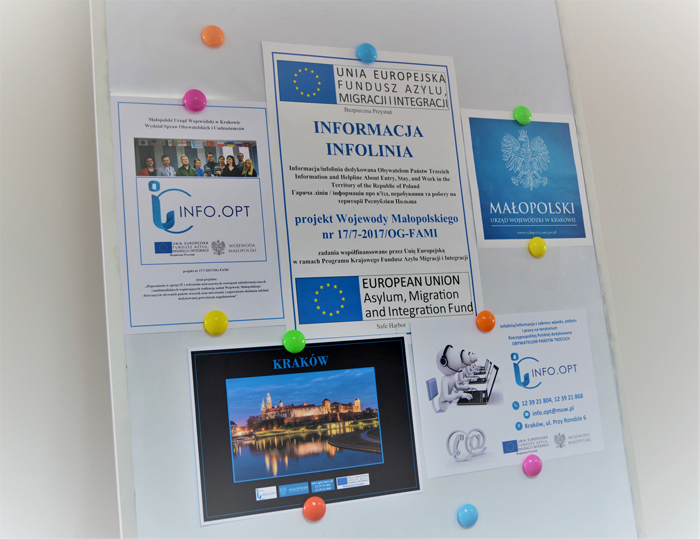 Project info.opt – information and helpline on legalisation of stay and work in Poland dedicated to third countries nationals – is implemented by Małopolska Provincial Office in Krakow in order to support work of the Department of Nationals’ and Foreigners’ Affairs in the field of legalisation of stay and work in Poland for third country nationals (non EU citizens). 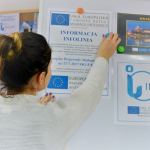 Project info.opt was established in February 2018. and brought significant improvements in regard to the communication between the Office and the beneficiaries. 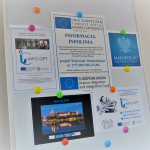 The main task of the info.opt team is to offer help and informative support to third countries nationals and Polish nationals – spouses, partners, employers and attorneys in various aspects concerning legalisation of stay and work in Poland. 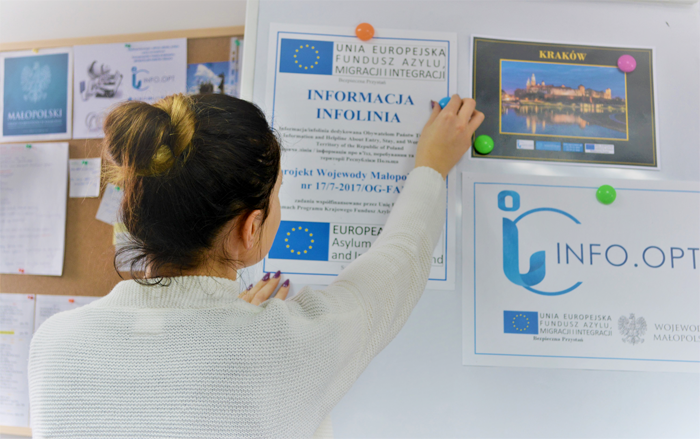 Co-funded by EU in frames of The Asylum, Migration and Integration Fund.